November 2013 - Bring It! 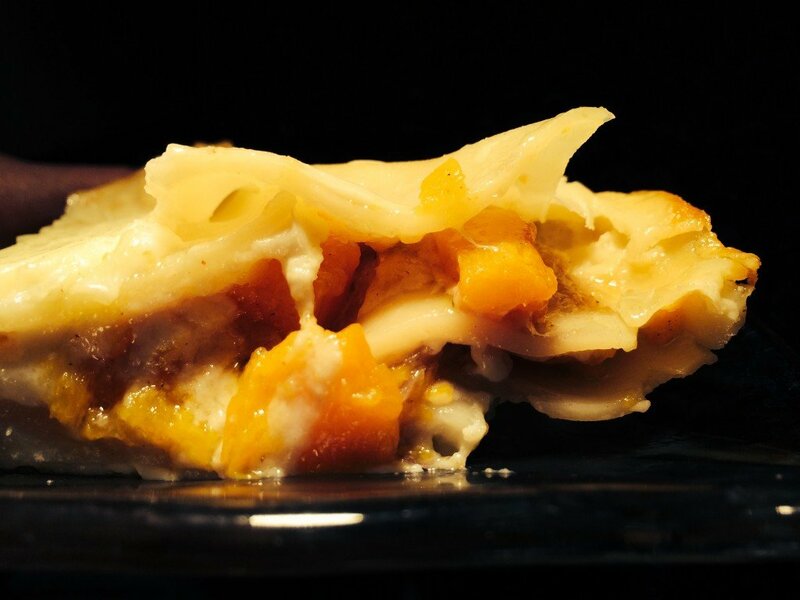 Butternut squash lasagna – a winner! 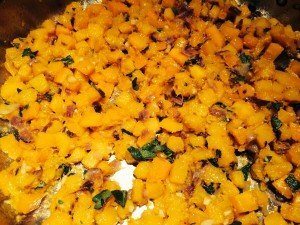 I have a foodie friend who claims to have a better butternut squash lasagna recipe than mine. I’ve tested his claim many times with friends and family, and hands down, this one is the winner. His recipe is good, but it does not compare to this masterpiece. He is a far better cook than me so I have to take the advantage where I can! This is the perfect recipe for a vegetarian main dish at your Thanksgiving meal. Having said that, this recipe is not for the cook who is short on time. I once made this lasagna for a friend and he loved it. He asked for the recipe, counted the ingredients, and quickly responded with, “18 ingredients, I’m out”! Prepare for about 2 hours of prep, cooking, assembly, and clean up. That is about what it takes me and I’ve made this lasagna at least a dozen times. However, I must say, it is worth it. Cook onion in butter in a deep, 12-inch skillet over moderate heat, stirring occasionally until golden (about 10 minutes). Add squash, garlic, salt, and white pepper. Cook, stirring occasionally, until squash is tender (about 15 minutes). 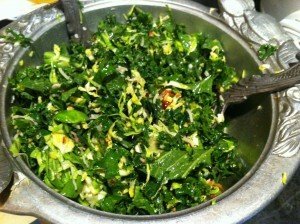 Remove from heat and stir in parsley, sage, and hazelnuts. Cool filling. Cook garlic in butter in 3-quart sauce pan over moderately low heat, stirring, 1 minute. Whisk in flour and cook roux, whisking, 3 minutes. Add milk in a stream, whisking. Add bay leaf and bring to a boil, whisking constantly. Then reduce heat and simmer, whisking occasionally, 10 minutes. Whisk in salt and white pepper and remove from heat. Remove bay leaf. Cover surface of sauce with wax paper if not using immediately. Preheat oven to 425 degrees. Toss cheeses together. Spread ½ cup sauce on bottom of buttered 9×13 inch pan, cover with 3 pasta sheets, leaving space between sheets. Spread 2/3 cup sauce and one third of filling, then sprinkle with heaping ½ cup cheese. Repeat, layering 2 more times beginning with pasta sheets and ending with cheese. Top with remaining 3 pasta sheets, remaining sauce, and remaining cheese. Bake covered 30 minutes, then uncovered for 10 – 15 minutes. Let sit 10 minutes before serving. Note: Sauce and filling can be made 1 day before, kept separate, covered and chilled. Bring to room temperature before assembling. Make sure your host has room in the oven to heat the lasagna and probably a good idea to bring printed copies of the recipe because there is no doubt you will be asked! This entry was posted in Main Dishes, Veggie Delight and tagged lasagna on November 27, 2013 by Sue Hanlon. Holiday Fun: Yay! Holiday Travel: Argh! In anticipation of the inevitable shake downs at airport security, we thought it might be helpful to write about what edible fare NOT to bring if you take to the friendly skies this holiday season. 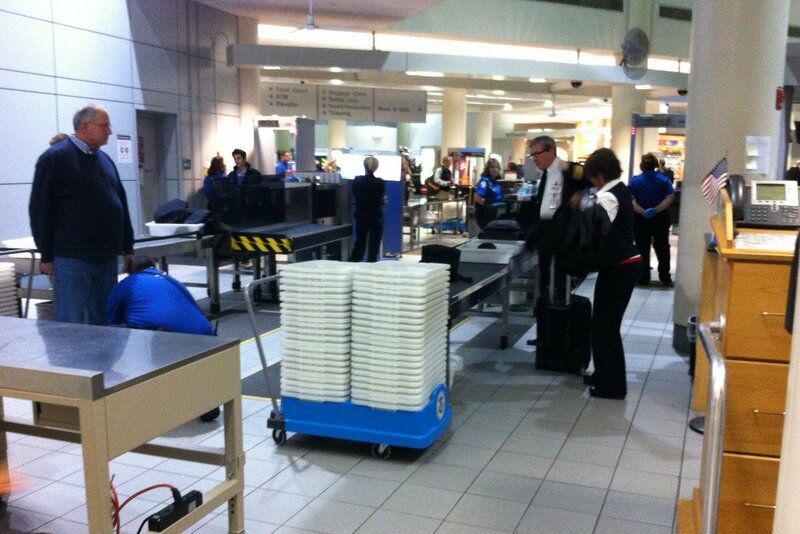 Consider it a little PSA on the TSA. Being stranded with toddlers on thwarted cross-country holiday treks (at both the Mall of America in Minneapolis and the Coca Cola Museum in Atlanta), instilled my routine of doomsday preparation when embarking on any multi-stop journey this time of year. The loss of in flight meals (not a huge loss in retrospect) and the advent of no frills airlines without buy-on-board options only heighten the need to be armed against long flights and too close connections. First, one must work around the list of banned substances which includes all fluids, like puddings, soups, and drinks of any kind (oh the wasted lattes). If it pours, forget it. Other things on the banned list, I learned the hard way, are yogurt and its evil twin go-gurt. There is a gray area of judgment when distinguishing between the liquid and solid realms of food. I discovered this when flying out of Manchester, NH. Upon passing through X-ray TSA spirited me out of line, did the full shake down, dusted my hands for contraband and then pointed accusingly to my Tupperware container of homemade hummus. “What’s that?” asked a burly agent, perhaps getting a suspicious whiff of middle eastern spice. “Hummus.” “Humma what?” “Hummus” I repeated. He brought over a female agent who looked at it with similar disdain and simply shook her head while pointing to the garbage can. This brought my family much entertainment, but nothing compared to my next bust, when, once again with my TSA friends in Manchester, I tried to ferry chia seed breakfast pudding through security. When made properly chia seed pudding might resemble a poppy-seed studded tapioca. When hastily thrown together the night before travel it can resemble slimy frogs eggs. The agent pointed to my opaque container and raised an eyebrow. “What’s this?” “Chia seed pudding,” I answered, suddenly having a hummus flashback (Duh!) and fatalistically eyeing the garbage can. She peeled back the lid optimistically and gamely refrained from gagging while gently suggesting I could eat “whatever that is” outside security. I quickly grabbed it and tossed it into the can while my kids convulsed with laughter. Other things don’t make the travel cut on a purely practical level. No matter how firm the banana, it will find a way to over ripen the moment you take it on the road. Big sandwiches overflowing with awesomeness will overflow into your own lap as will anything goopy, mushy, crumbly or grainy. Speaking of grainy, rice will escape containment, guaranteed, as will rogue streams of juice, sauce or dressing from items in the wrap family. Breakfast burrito at Cafe Rio in SLC–good way to start the day. Hot sauce in your lap–bad way to start the day. Then we have the matter of etiquette. Unless you and your people have taken over an entire row, anything too outrageously yummy creates a “have’s and have-not’s” scenario. It just feels weird to be chowing down right next to someone with nothing but a bag of pretzels. It’s also common courtesy to avoid anything really smelly or pungent–eggs and tuna for sure, but also things like the roasted cabbage that was tasty, healthy high-fiber fare but made row 17 smell like a Balkan road house. I recently discovered another issue, when I had broken my own rice rule and packed a luscious brown rice and roasted vegetable melange. It would have been great had I remembered to bring utensils. Airport restaurants, now savvy to brown bagging passengers like myself, no longer offer easy access to free utensils, and neither do the low-fare airlines we fly. (After all, you don’t need a fork to eat peanuts, Ritz bits and pretzels). I ended up using a hunk of bagel from yet another sandwich shunned by my family. It sort of all worked out, but it further weakened my resolve to BYO in-flight. So what do you bring when you take flight? Leave the hummus behind and go for anything that’s better in a backpack (without the Swiss Army knife of course). Or keep it simple and just bring money–lots of it. Pockets and pockets full of grindels. Wherever you head for the holidays, safe travels, stay loose and pack your sense of humor! This entry was posted in Uncategorized on November 25, 2013 by Edie Morgan. As my blog partner Edie said in her last post, it is soup season. We here at Bring It are non-stop soup making machines lately. 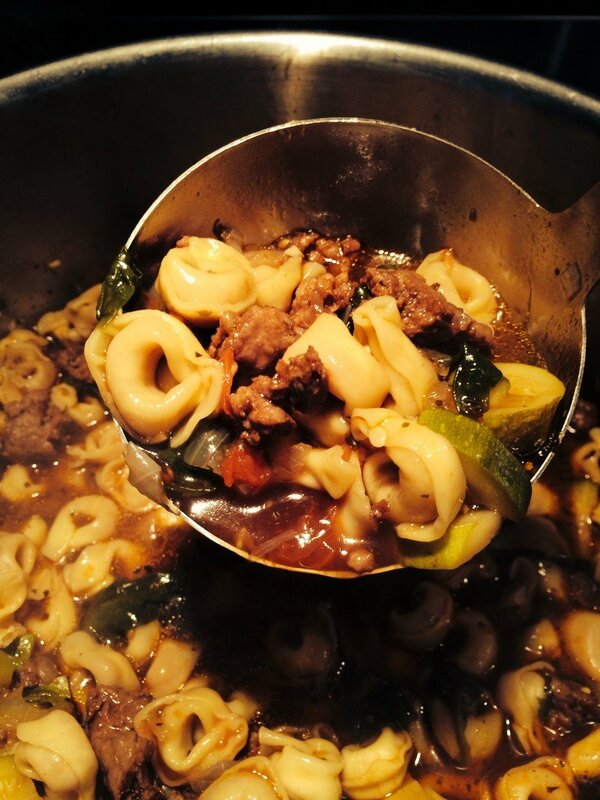 This sausage tortellini soup is hearty! It is so hearty that you can practically eat it with a fork. 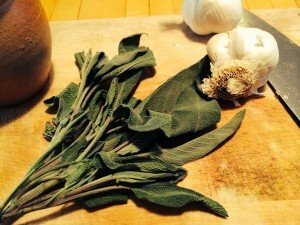 I made this soup recently for the Upper Valley Haven where I volunteer to cook once a month. I make dinners for the adult shelter with two other cook partners. We love this opportunity to cook and share meals with these individuals each month. The Upper Valley Haven is a fantastic organization providing temporary shelter and educational programming for homeless families and adults as well as food and clothing to anyone in need. The people working at the Haven are the nicest group of people anywhere! They are always smiling and so willing to give. I am fortunate to have found such a perfect volunteer opportunity to combine my love of cooking with an organization such as the Haven. 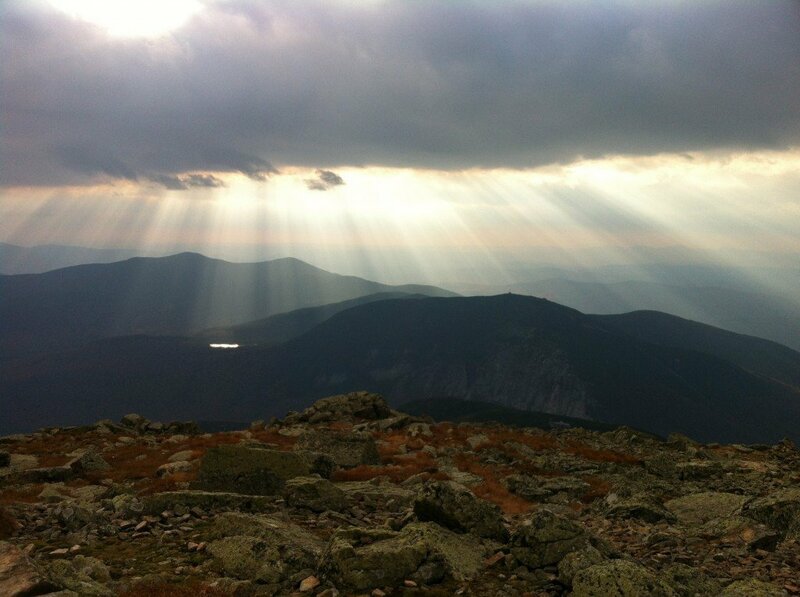 If you want more information about the Upper Valley Haven, click here. As for me making this soup filled with meat, well, I’m a meat-cooking vegetarian. I have a son who is a carnivore extraordinaire and there are plenty of dinner parties where I make a meat dish and a veggie dish just to cover all my bases. So, I really didn’t get a chance to try this soup, but from the way it was lapped up, I think it was a success. Saute sausage in Dutch oven over medium heat until cooked through, crumbling with back of spoon, about 10-12 minutes. Using slotted spoon, transfer sausage to large bowl. Pour off all but 1 tablespoon of drippings from Dutch oven. Add onion and garlic to Dutch oven and sauté until translucent, about 5 minutes. Return sausage. Add all other ingredients. Simmer 40 minutes. Add tortellini to soup and cook until tender (check package instructions for how many minutes). Season soup with salt and pepper. This soup will be thick which is perfect for the transport. This thickness will minimize the soup sloshing around in your backseat while you navigate the highways and byways. I usually leave my soup in the pot and tape the lid to the pot. Or you could transfer to a very large Tupperware which is probably a safer bet. This entry was posted in Main Dishes, Pots of Goodness on November 21, 2013 by Sue Hanlon. Yes, soup for you! In looking at our Bring It repertoire one might think we never make soup. The fact is, especially this time of year I am something of a “Soup Nutsy,” cooking up soup and broth all the time and bossing it into as many family meals as possible. The problem is that I never use a recipe, which makes sharing the love problematic. I’ll work on that, as well as decent soup photos which apparently are no small feat. In the meantime, I offer you this super excellent slightly spicy soup that can be made almost entirely out of non perishable pantry items, which allows you to plan ahead, stock up and whip it up in a pinch. I discovered this while desperately searching for something vegan and gluten free to make for a friend recovering from surgery. The next time I made it was as a last minute punt for a moonlight winter hike. I threw it together in record time and chucked it in a Thermos. It was a huge hit. The key is to resist any urge to use up the dirt cheap cattle feed grade frozen corn tucked away in your freezer and spring for the Birds Eye white and gold good stuff, or even the canned white shoepeg corn. Also, when I first made this I could not get to our super groovy coop for the Thai red curry paste so I used Tikki Masala curry paste in the International section. It’s milder so I used more and it was similarly excellent. And might I say, if gluten is your bag, baby, this goes excellently with Easiest French Bread Ever. Add the coconut milk, rice milk, corn, curry powder, the green parts of the scallions. If using the curry paste, dissolve it in a small amount of water before adding to the soup. Bring to a rapid simmer, then lower the heat. Cover and simmer gently for 5 minutes. Season with salt and remove from the heat. Serve, passing around the cilantro for topping. 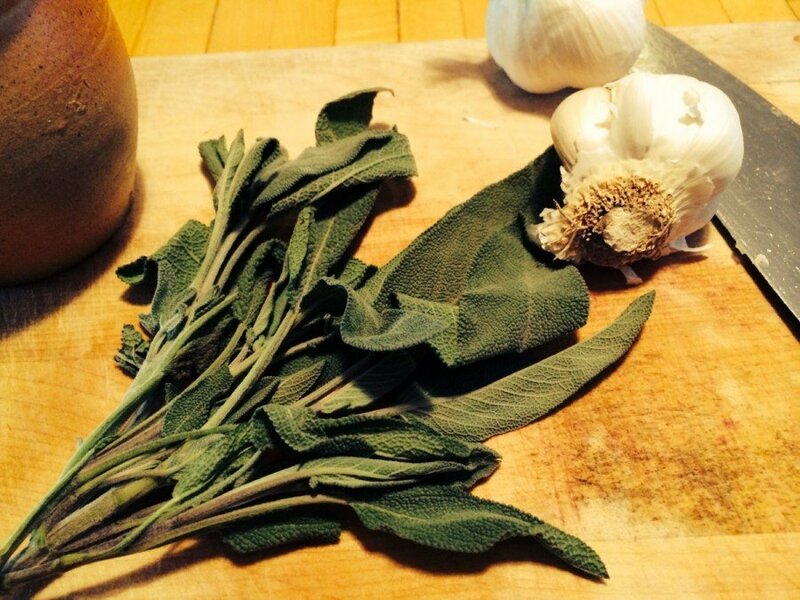 This entry was posted in Pots of Goodness on November 19, 2013 by Edie Morgan. Officially this is called double banana cake and it hails from a restaurant in Winnipeg via Bon Appetit’s Favorite Restaurant Recipes. That’s the official story of provenance. 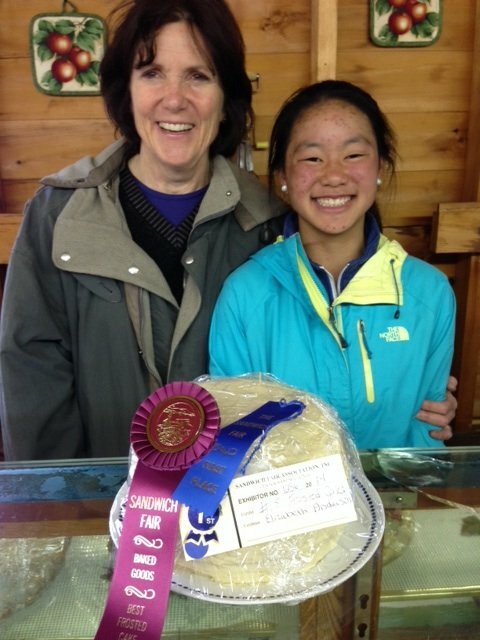 But in these parts, it is called *Blue Ribbon Banana Cake because it won first prize at the Sandwich Fair. If you have ever seen the line of entries for baking contests at this particular country fair, you are by now suitably impressed. My dear friend, a humble, wildly talented cook and baker (whose masterpieces are created in a galley-sized kitchen) prefers to live in the witness protection program when it come to her prowess. So she spent years quietly contemplating entering one of her fabulous desserts in the fair. My only advice to her was to avoid the pie category, the judging of which I suspect is rife with nepotism. Pie, it seems, is the signature specialty of practically every revered country cook. And besides, who wants to spend weeks or months perfecting a pie crust when there are masses of women who can whip up a better one guided solely by instinct? After making this suggestion I tried her banana cake and there was no longer any doubt about how to make her fair debut. 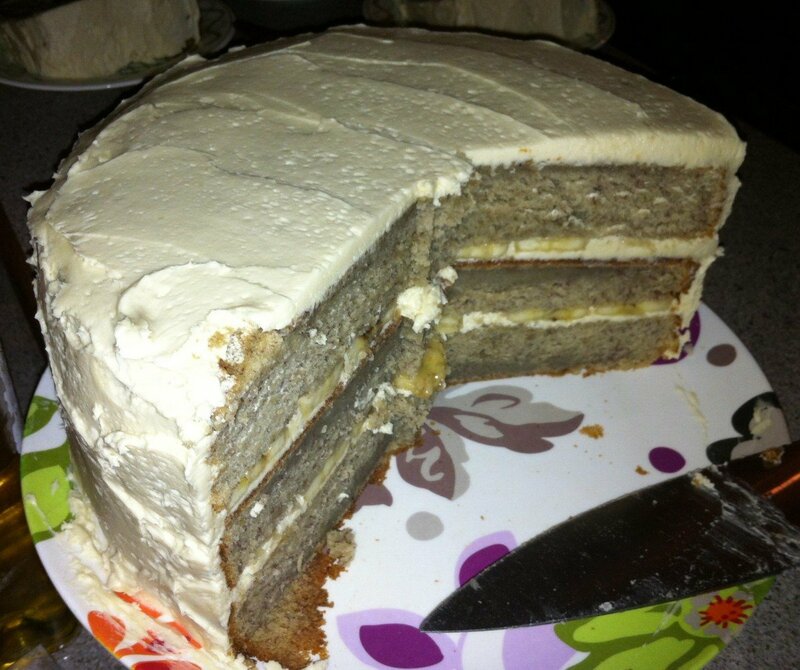 With six bananas in the cake and two more layered in between, this cake is dense, moist and oh-so-fresh tasting. The real secret, however, is in the kosher salt, that gives both cake and frosting the blue ribbon sass. In deference to the champ, I made my version just as the recipes says and did not attempt to copy her tweak, which is to make it in three pans as a triple layer cake. Desserts are not my specialty, so the prospect of two layers of slippery bananas vs one was just too daunting. 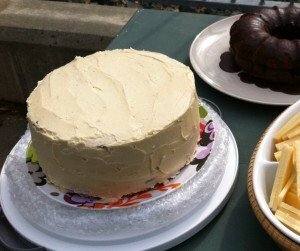 As it was, the actual blue ribbon winning cake had to be hastily rebuilt just prior to its fair entrance thanks to a surprise boulder in the parking field. At any rate, if you have an occasion or a special meal or a whole lot of ripe bananas make this cake! And if you’re bringing it somewhere, do not expect to return with leftovers. Guests WILL divvy up any remains and spirit them away. Blue Ribbon Banana cake: the Pro version. Even the grand marnier chocolate cake takes a back seat. The triple layer pro version, up close and personal. Preheat oven to 325°. Butter two 8″-diameter cake pans with sides 2″ high. (The pro uses 3 pans for triple layer). Line bottoms of pans with parchment paper rounds. Whisk flour, baking soda, and salt in a large bowl. Using an electric mixer, beat 1 1/2 cups butter and sugar in another large bowl until light and fluffy, 2–3 minutes. Add eggs one at a time, beating to blend between additions. With mixer on low, gradually beat in flour mixture, scraping sides of bowl. Mix in bananas, then sour cream. Divide batter between pans. After being in the fridge the cake is plenty sturdy and can simply be covered in plastic wrap on its platter. See story above and do position the cake wisely in case of any unforseen bumps. Those bananas can get mighty slippery. *An observer did quietly admit that the first reaction by a judge upon tasting this cake was “Holy Crap!” Even though that sums up everyone’s first reaction to this cake, “Holy Crap Cake” just didn’t sound right. 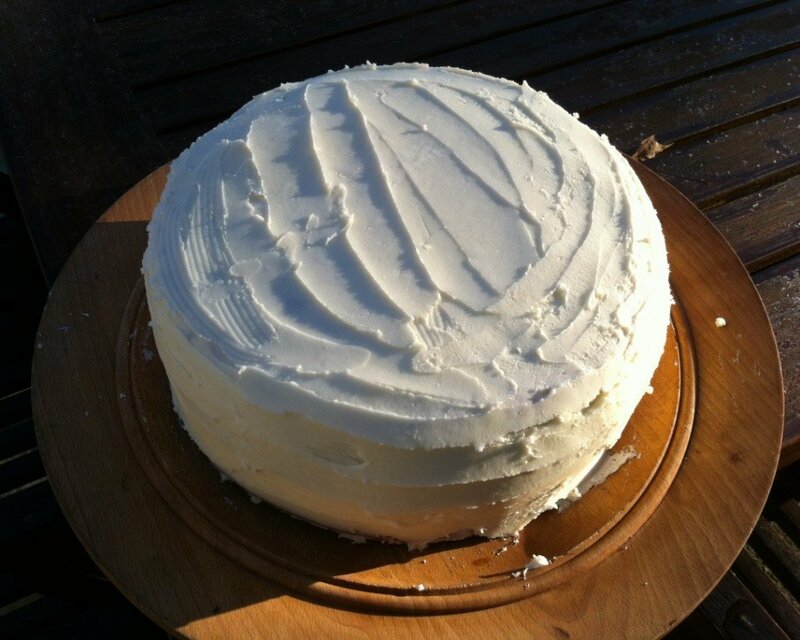 This entry was posted in Dessertalicious on November 14, 2013 by Edie Morgan. In case you haven’t noticed, there has been a common theme to many of my postings lately – MILLET! I can’t get enough of the stuff. This millet muffin recipe rocks like all the other recipes containing this fabulous grain. They add a crunch that makes everyone light up and smile. In addition to my fondness for millet, I was feeling remiss in not posting a recipe with pumpkin yet this season. I have cut, carved, scooped out, and cooked many a pumpkin over the past couple months so for this round, I took the cheater’s route and bought a can of pumpkin puree. But no shame in making things easy for yourself, right? And the canned pumpkin works really well! I adapted this recipe from one of my favorite websites – Joy the Baker. She used chocolate chips in her recipe, which is a great way to go. I decided to go the healthier route and use walnuts and raisins instead. Either way, it’s a win-win. These muffins are dense, filling, yummy, and mostly healthy. Enjoy! Preheat oven to 325 degrees and line muffin tins with paper or foil liners. 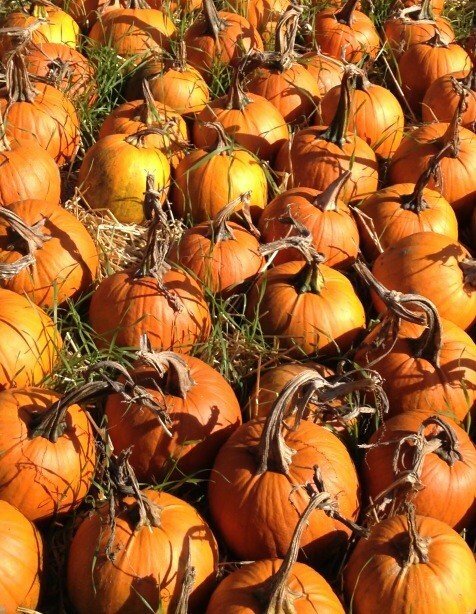 In a large bowl, mix together oil, honey, brown sugar, eggs, pureed pumpkin, and vanilla extract. In a medium bowl, mix together flour, salt, baking soda, spices, and millet. Add dry ingredients, all at once, to wet ingredients. Add buttermilk and fold together. When batter is almost completely mixed add in walnuts and cranberries. Mix to combine well but do not over mix. Spoon into prepared muffins tins. Fill 3/4 full. Bake 20-24 minutes, until toothpick inserted into the center of a muffin comes out clean. 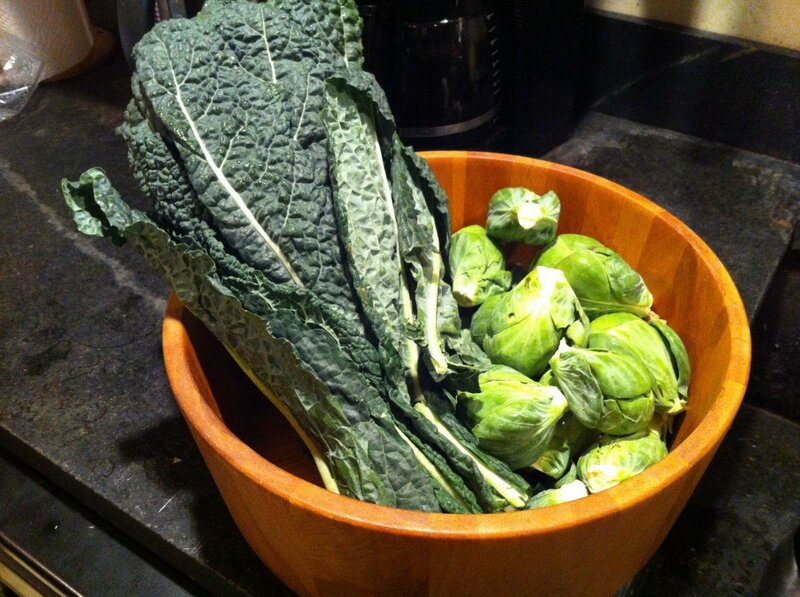 Serve warm and eat immediately store in plastic bags and eat over several days, or freeze and pull them out as needed. 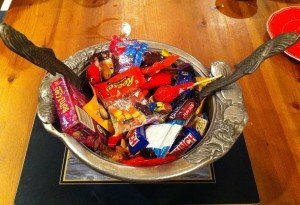 This entry was posted in Breakfasty on November 11, 2013 by Sue Hanlon. Because we cannot live on bread alone, we have fondue. Beer and cheese—it’s what’s for dinner. I realize I am pushing the season a bit with après ski fare, but we get really excited about the arrival of winter in this household. It’s also Friday, and in keeping with a tradition started by our dearly loved and sorely missed neighbors (come back from Sarajevo already you guys! ), it’s the day of the week we collectively throw up our hands and say “Uncle!” to dinner planning. Friday is the day for take-out, appetizers, creative leftovers and raiding the Etna store on the way home. When it happens to be a chilly Friday It’s also a perfect night for fondue. 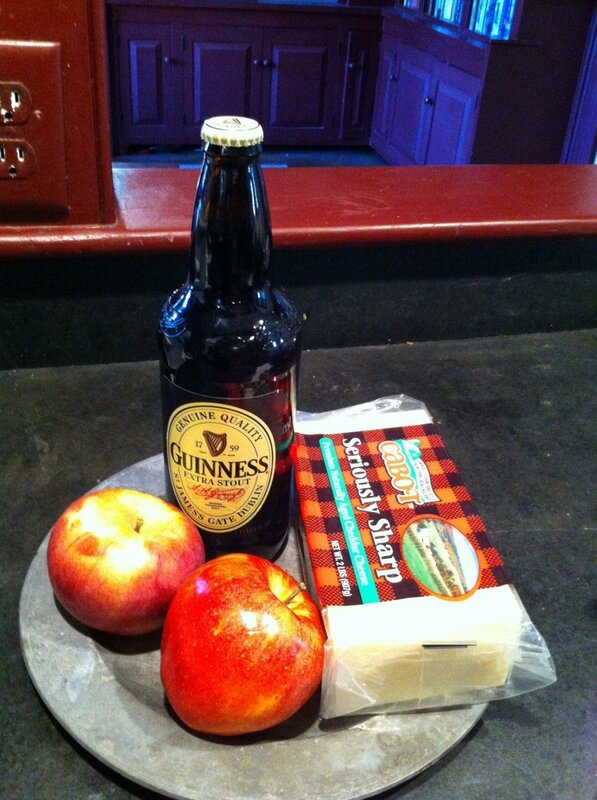 This came from an über healthy, fit mom who I never would have suspected loved beer and cheese so much. It made me like her immediately. Using a dark beer instead of wine is a different taste, and often more appealing to kids who don’t like the wine smell and taste. A little sweeter than traditional fondue, this is great with apples, grapes, potatoes, veggies, of course bread and quite possibly even cardboard. And it’s totally easy. Combine flour, parsley, garlic powder and paprika. Toss with cheese, set aside. Warm, but do not boil beer, add lemon juice. Slowly add cheese mixture, stirring constantly. Do NOT let cheese come to a boil. Allow cheese to melt before adding more. Add butter/ onion mixture when cheese is melted, turn up heat so cheese will thicken. Stir in worcestershire sauce. Transfer to fondue pot. Someone somewhere has to open a can of Guinness in the morning. Pre-grate and bag the cheese with garlic powder, flour, paprika and parsley. The rest of the chopping and prepping can be done with the group, by the group. You can be a really nice guest and do it all beforehand and arrived with pre-cut bags of veggies, bread, fruit etc. But that might make people envious of your organizational prowess. Your call. This entry was posted in Appetizers, Apres Anything, Main Dishes on November 8, 2013 by Edie Morgan. Four very good reasons to get out of bed in November. Stick season. Oh yeah. It’s cold, there’s no snow on the ground and its too early for Christmas lights and cookie making therapy. What we need now is a reason to get out of bed. Boom—got you covered! I know, I know. Crepes sound so high maintenance, so NOT what the average person would contemplate whipping up, especially for a weekday breakfast. But I promise you these will set you free, and take barely more time than it takes to toast up some Eggo’s. The timesaving is twofold. First, the recipe is so simple to remember that your won’t be futzing around finding it. And second, it makes enough that you can use the same batter for two or three days. And I know I said twofold but I forgot a major benny. On any given morning you probably have all the stuff on hand. If you’re going for sweet you can fill these with any type of jam, or with a bit of granulated sugar. If you’re feeling more meaty cheesy than sweet, then go for a bit of ham and cheese. And if you’re feeling like you need some serious love from your peeps you can fill them with Nutella or Cholliesauce. Trust me on this: you do NOT have to be French or kitchen savvy in any way to master these—all it takes is a few rounds of practice. If you blow a few just call it crepe shrapnel dust it with a lot of powdered sugar and move on. A wrapped stick of butter for greasing pan (you wont use much of it). Whirl eggs in a blender. Add butter, flour and milk. Heat a frying pan (I use my All-Clad double handled one) over medium heat. 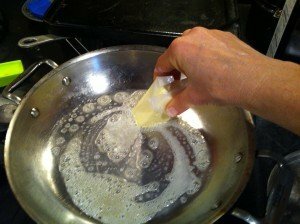 Hold a stick of butter and coat the hot pan to create a layer. 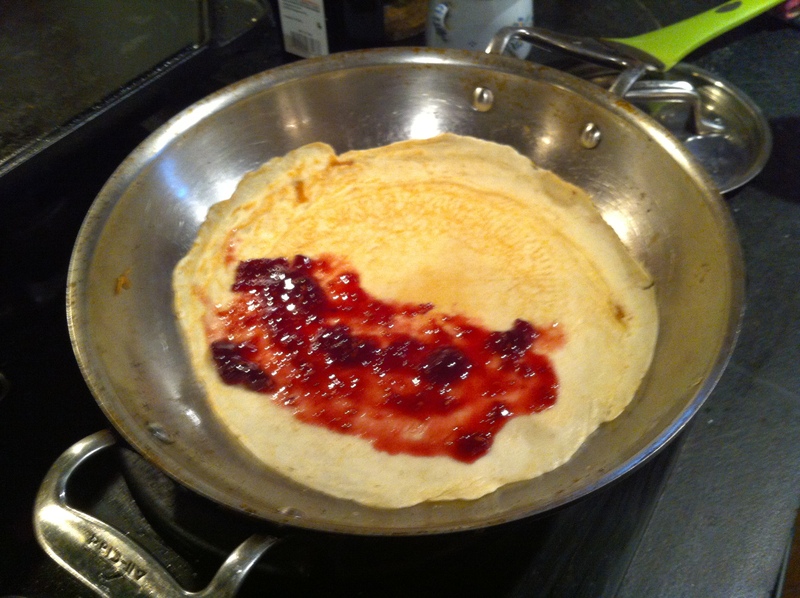 Pour (or ladle) about 1/3 cup batter into pan and tilt the pan to coat the bottom evenly. 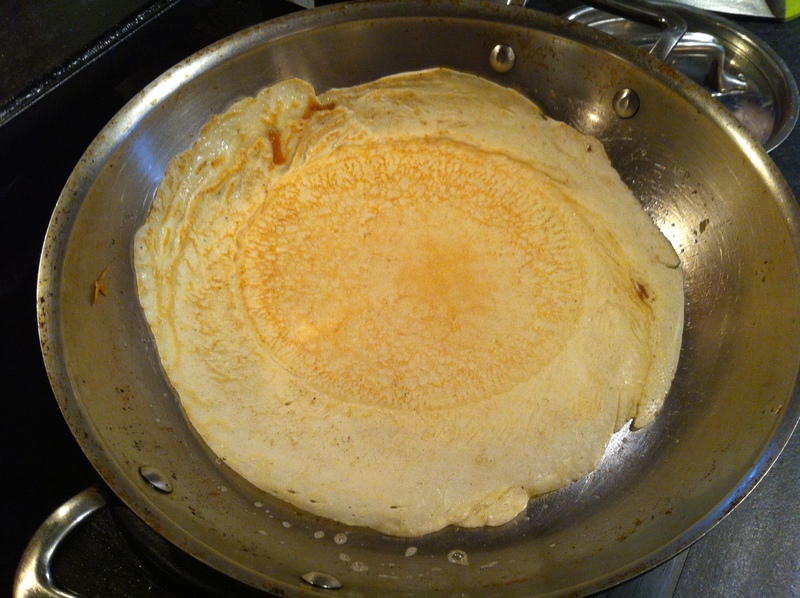 When the sides lift easily flip entire crepe. 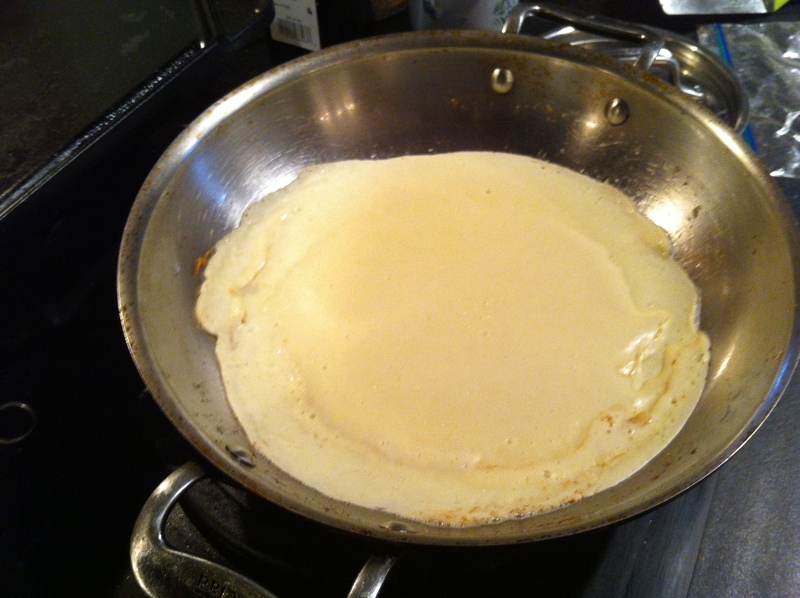 Spread desired filling on half of crepe, and fold crepe in half then in quarter. Lift crepe from pan to a serving plate. 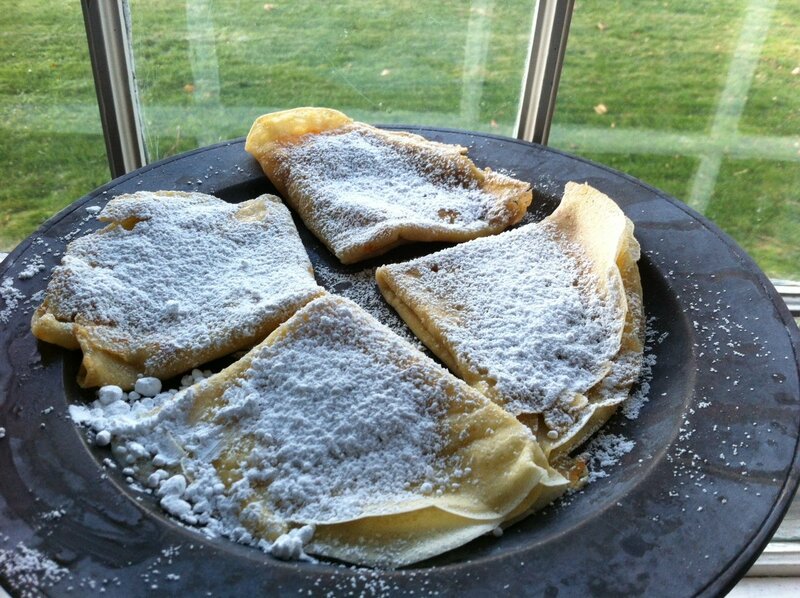 Dust with powdered sugar and a squeeze of fresh lemon juice. Side 1, ready to flip. Side 2, ready to fill. Store the batter for tomorrow’s breakfast, for an afternoon snack or for any moment that stick season is getting to you. Slip a couple of crepes into a baggie for a great school snack too. This entry was posted in Breakfasty, Dessertalicious on November 5, 2013 by Edie Morgan.